Competence development – GENETY – Dein Bildungslotse e.V. We’re all in one boat! Since 2006 GENETY e.V. 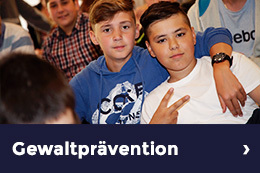 has been recognized as a child and youth welfare foundation and independent education partner at Hamburg’s secondary schools. Our aim is to strengthen the talents of children and young people, thus helping them become self-confident and thoughtful individuals. The pupils’ natural and varied talents are strengthened by the intensive work with a professional coach and then documented in written form. Apart from becoming more aware of their talents, at the end of the projects the young people are presented with an individual “Report” – the Culture Competence Certificate – with which they can prove their potential to possible future employers. Genety’s theatre project offers disadvantaged young people from the age of 11 years upwards the opportunity to create a play in German outside the school environment , and to present it to the public in their own neighbourhood. 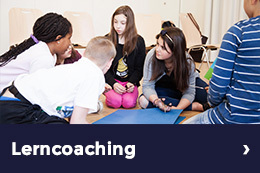 Directed and supported by an experienced drama instructor, the pupils write the script, work out the individual scenes and devise their own plot. The aim is to discover individual talents within the group and to stage a play which will captivate both themselves and the audience. A flash mob is an apparently spontaneous public event by lots of people for lots of people. What most people don’t know: this spontaneity is the result of hard work and is well structured. Apart from the dancing, the real focus of our dance flash mob is on team building, character formation and developing potential. The dancing takes place in a public space, e.g. in front of the Town Hall, and the applause of the onlookers encourages the young people to fully express their dancing talents. EXPEDITION CUL-TOUR is the first media project in Hamburg which uses playful elements to introduce children and young people to the world of digital photography where they can then further develop their skills. Our aim is to strengthen their potential, discover their photographic talents and increase their educational maturity. Under the guidance of photographers and teachers, our peer-to-peer concept builds on the fact that pupils of the same age can much more easily and intensely (without hierarchies) exchange views on and with the media, and thus develop their know-how, skills and talents. The pupils’ photos are presented and celebrated in a final exhibition open to the public.